It’s not every day that you see sharks and penguins in London, but on the South Bank you can. Almost literally, too, if it wasn’t for the fact that Sea Life London Aquarium is closed on Christmas day. Thousands of tourists and local alike visit this old council building daily, which has been home to a remarkable watery wonderland since 1997. 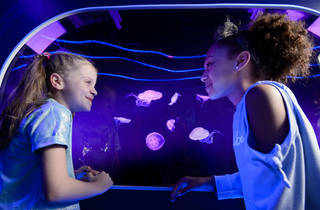 Upon entering – over a glass window that peeks down to the Pacific waters display – you’ll follow a winding route through every attraction in the building. Wade into Shark Walk before reaching the Atlantic Depths (look out for sand eels and octopuses here) and then drifting into Tidal Reach, which houses creatures common to British waters. Life gets a little more exotic and vibrant as the display merges into the Ray Lagoon and the Dive Discovery tropical waters. 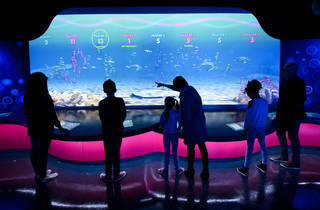 Along with rockpool displays of brightly coloured anemones and the gliding green sea turtles that swoop past overhead as you walk through the Ocean Tunnel, there’s a chance to get down deep with the sharks as you peer into the Pacific Wreck gallery and see if you can find Nemo among the clownfish in the Coral Reef zone. Visit during off-peak hours if you can, in order to avoid the usual hordes and get a better glimpse of the wild inhabitants. Like the piranhas, for example, the poison dart frogs and Cuban crocs in the rainforest section. Also see if you can time your visit with a feeding, because that's when everything comes out of any hiding places they might have been lurking in. 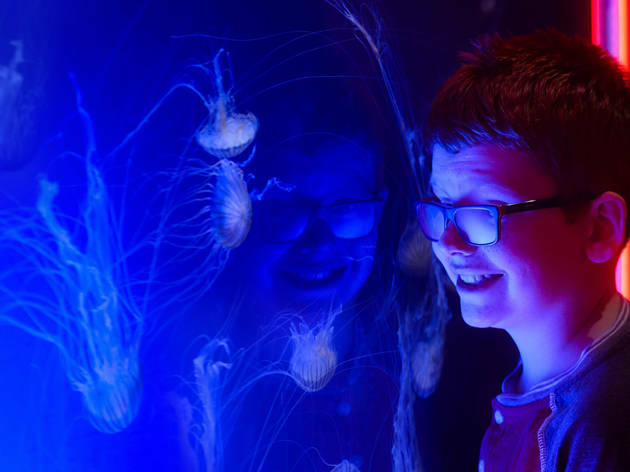 There's also a new permanent exhibition called Ocean Invaders, in which you'll be able to learn more about the weird, wonderful and wobbly world of jellyfish. 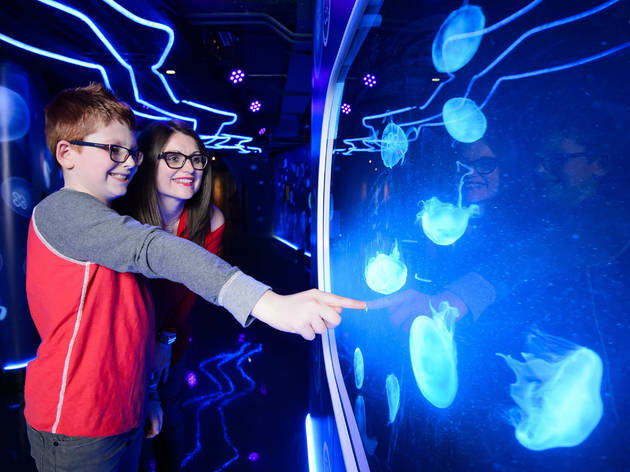 Visitors can discover the most dangerous species and even create their own digital jellyfish. 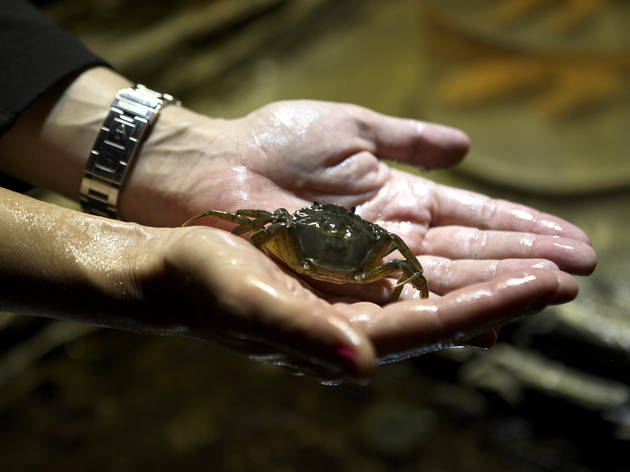 Sea Life also carries out research and conservation work, and the Thames Walk experience (opened in summer 2015) reveals some of the insights into life in the waters that flow just outside the aquarium, and the work done to make them a cleaner environment in which fish can thrive. 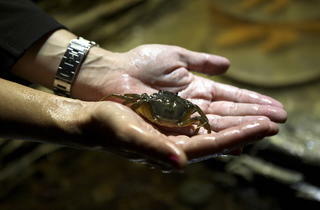 The Breed Rescue Project display invites budding marine biologists of all ages to find out more. Head down solo, with your beau or in a group and get hold of one of the special package tickets, which allow entry to other London attractions, or a VIP ticket, which entitles you to a tour behind the scenes. The latter is a particularly cool option as you get to snoop around parts of the aquarium that the public aren't typically allowed into. 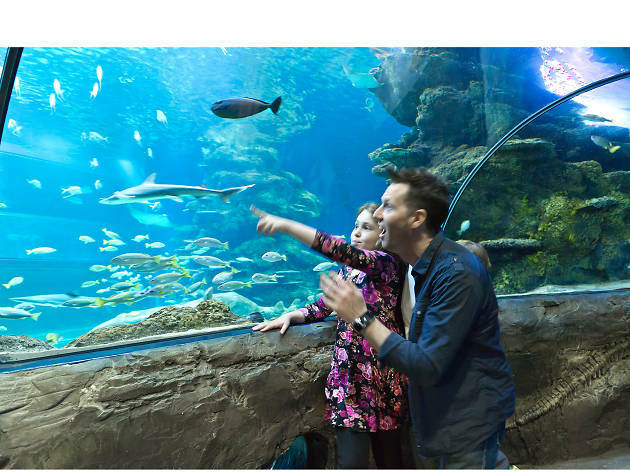 And if you really want to get up close and personal with the sealife, the brave adventurers out there can book a ‘snorkelling with sharks’ experience and dive into the shark tank. I love the SEA LIFE Aquarium as there is so many sealife creatures to see. They even have penguins,. I went along to a London Lates special though which was even more pleasant as I could enjoy the fish in peace without a child running under my feet. I especially love the jelly fish section so colourful and mesmerising. 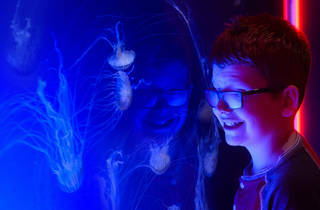 If you haven't been in a while, get yourself down there and see the amazing jelly fish as this is quite a new enclosure. The last time I visited the Sea Life Aquarium in London was as a child, and boy has it changed since then. My main reason for this visit was to check out the new Rainforest Adventure exhibition, a world apart from what the aquarium used to be! Walking through the rainforest, surrounded by colourful foliage and creepy crawlies in glass cases, it was a fascinating experience. They've also got slightly bigger animals, including a tortoise that was rescued from Richmond park! The staff are beyond knowledgeable about the animals they look after, and were full of fun facts and interesting stories. There is plenty to learn about their conservation efforts as well, so well worth another visit if you (like me) hadn't been for a while! I love the SEALife Aquarium having been in the past for a silent disco and this time I was there to see the new Rainforest exhibition which added a whole new level to my experience. The aquarium itself is very impressive with large sharks swimming about underneath you as you enter and the further down you go the more the amazing the view becomes of these terrifying creatures. The new rainforest section is what I expect from an aquarium and a lot more. From creepy crawlies, pig nose tortoises and then a massive tank full of terrifying piranhas. The staff were really helpful and knowledgable too and genuinely seemed excited by teaching the guests about the vegetarian piranhas vs the carnivorous. If you have time stay to watch the piranhas be fed, I never thought I would get to experience something like that in my life and it was truly amazing. If you haven't been in a while, get yourself back and see the new section and while you are there spend some time with the jellyfish too! I had a mesmerising time at the SEALife Aquarium. The aquarium is not the largest, but it’s packed with many countless marine creatures and species to admire. The centrepiece is obviously the gigantic tank that is the home to all sorts of marine life including three sharks that's been here for more than 20 years (they’re friendly I am told!). Every now and again, SEALife opens a new exhibition. If you’re visiting, I highly recommend seeing the Jellyfish section. There are interactive to play with and jellyfishes have never been to look more beautiful. Kids and big adults alike will love it. Those with a stronger disposition will find the brand new (as of April 2018), Rainforest Adventure where you can get up close to the bugs, insects and animals of the rainforest from South America including giant spiders (no thanks! ), centipedes, snakes, and venomous frogs. If you time it right, you might be able to see the keepers feed the 150 baby piranhas at the end. I assure it’s quite a sight. Grab one of the keepers who, are not only knowledgeable of the animals but are friendly, great chat to, and clearly passionate about what they do. You can learn some seriously impressive facts from them. This is obviously a fantastic attraction for all the family. But oddly, I found the SEALife Aquarium quite the romantic place to be. I think it must be the tranquil surroundings and the low-lit lighting of the Aquarium that creates such an intimate atmosphere. You’ll be gazing at peaceful marine life together. One of my favourite attraction from the Merlin Attraction group, it’s definitely worth seeing. In the many years I've been living in London, I've never had a chance to visit this underwater marvel in the heart of town. I finally found a great opportunity in the opening of their new Rainforest adventure, which is aimed at entertaining young explorers, but should also keep the attention of the grownups. During the tour, friendly guides are always on hand to reveal fascinating facts about the world beyond the glass: scorpions, ants, frogs, snakes, giant cockroaches, different species of turtles, dwarf crocodiles and even piranhas, who enjoyed a late dinner whilst we were there. Worth the price of the ticket alone, is the fascinating shark tank where some of the world's most terrifying predators peacefully patrol the waters, unaware of their surrounding audience. There's plenty to learn about conservation and marine ecology in this must-see London landmark, which is a lot more than just a tourist attraction. I recently went to Sea Life London to check out the new Rainforest Adventure Exhibition and had a wonderful time! It’s exciting to see an additional exhibit to mix things up a little. The rainforest areas are properly done up with squishy floor and hanging vines to make it a more realistic experience. My favourite part was the critter domes! There were multiple domes you could crawl under and have creepy crawly cockroaches and spiders ‘climbing all over you’. Scared my to pieces but I bet the kids will love it! 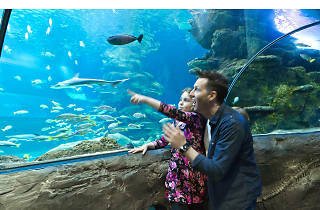 Overall, the classic parts such as the sharks still win first prize at Sea Life London, but the rainforest does and to the exciting journey through! I swung by Sea Life London to check out their new Rainforest Exhibition and it did not disappoint! Previously I'd only been to the centre whilst drunk (they do a silent disco that's totally rad, you should check that out too) so it was nice to actually enjoy and know I'll remember the evening. It always surprises me how vast the centre is, most of which is underground so you get a really honed in and "adventure feel" as it's all a bit dark and echoy. Verdict: The perfect place for a midweek date night! I visited Sealife recently with a close friend and we had an amazing afternoon. We enjoyed especially the big tank with sharks and big fish because it was so impressive and immersive. The way fishes are shown in the other rooms is also very good because it makes the fishes coming toward you and more people can enjoy them at the same time. The Rainforest adventure exhibition was a bit disappointing because most of the animals you could see where tiny and very difficult to spot. The cockroach tank was my favorite because they were huge and you could really immerse yourself into it. I love coming back o this place again and again, the latest new addition is the Rainforest Adventure Exhibition! Watching sea life through a big sheet of glass is a wonderful way to transport yourself away from reality. The staff were wonderful and so knowledgeable about the creatures, I learnt so much about some of the species! I also came to learn that a lot of what’s looked after in the aquarium has been donated to the Sea Life Centre or they’ve taken them in as they’ve been abandoned. I had never been to London Aquarium before, thinking all sea life centres are basically the same. I was so wrong!! From the initial transparent floor view of the shark tank, to the fantastic jellyfish display. I saw the new rainforest exhibition, which was fantastic. Cockroaches, ants, snakes, the cutest ever dart frog, crocs & piranhas. The staff definitely bring the magic. Ask anyone about any of the animals, and they can tell you so much. We spoke to the croc expert and we were so entertained for about 20 mins. He was so compassionate, knowledgeable and informative, that we felt like we were croc experts when we walked away too! Great for kids, with the tanks allowing you to crawl in and adults (so many selfie opportunities) alike. Wonderful. Very recommended!! I envy the staff here. Fancy coming to this chilled-out place every day to work - they can't possibly get stressed. 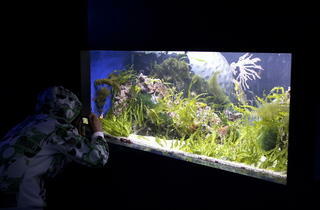 People pay hundreds of pounds or more to have a fish tank in their home - beautiful to look at and totally relaxing. Ive been here a few times and it's a total delight. All species are well housed in as natural surroundings as possible. Get up close to the animals' without fear. 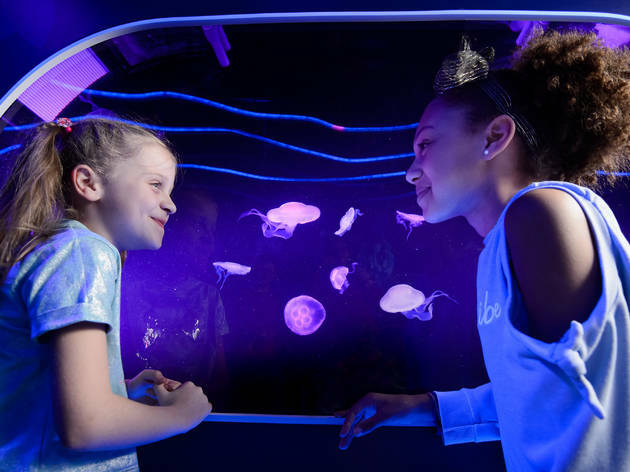 Now there is an additional area "Rainforest Adventure" to visit within Sea Life, which has several interactive features appealing to children.There are descriptions of animals next to the the animals enclosures and plenty of helpful, cheerful staff to ask questions of. This is one of the most interesting visitor attractions in London but for me the Rainforest Adventure does not add to its appeal - though I must say that the children who were playing on the interactive games may disagree - they seemed to be having great fun. So a great place for all the family. I’ve been to the Sea Live a few times over the year and although it changes only a bit, I always love to come back. I find observing the sea life highly calming and joyous at the same time. And having so many members of staff at hand this time, I also managed to learn so much about some of the species! I had no idea that the aquarium has adopted animals in their collection. The most hilarious, yet depressing story, is the of one of the turtle which was abandoned pet in one of the London parks. It was found when a lady called the rangers reporting that an alligator is trying to attack her dog. It’s true, he has a sort of crockie tail, but come on! The new rainforest exhibition additionally features tarantula, giant cockroaches and ant colony, which I’m sure kids will love, I’d rather stick to jelly fish, sea horses, and sharks. I recently visited the new Rainforest experience at Sealife. As an enthusiast of the natural world, I really enjoyed this and felt that a lot of thought has gone into this experience. The music, flooring ( which is actually dirt that your feet slightly sink into so heels not recommended! and the various foliage, made me feel that I was transported to the amazon. I loved seeing the different varities of reptiles, amphibians and the fearsome freshwater fish such as the piranhas. I was surprised to learn that Sealife acts as a rescue centre with many unwanted animals left at the doorstep, in particular many terrapins and even an octopus on occasion! If you are an enthusiast of the natural world, I would highly recommend a visit! The new Rainforest Experience at Sealife is certainly interesting. The two big promises of the opening however were not as billed, the piranhas and the bird-eating goliath spider are only babies! Interesting but perhaps a little less impressive than if you visit in half a year or so. Even as babies those piranhas can make their way through fish and the decoration gives a really fun rainforest feel to wandering around. Great for kids but pretty pricey, definitely a treat. I always have a good time whenever I visit the Sea Life Center and it's a fun day out. There's something extremely mesmerising about watching the fish swim around and you can lose yourself. The new Rainforest Adventure area is interesting and there are some decent exhibits - being able to put the head into a bubble in the middle of the animals is fun/scary. It is expensive for what it is, but a nice treat when you get a chance. If you didn't think that the Capital would be a good place to take in some SeaLife then you'd be wrong. 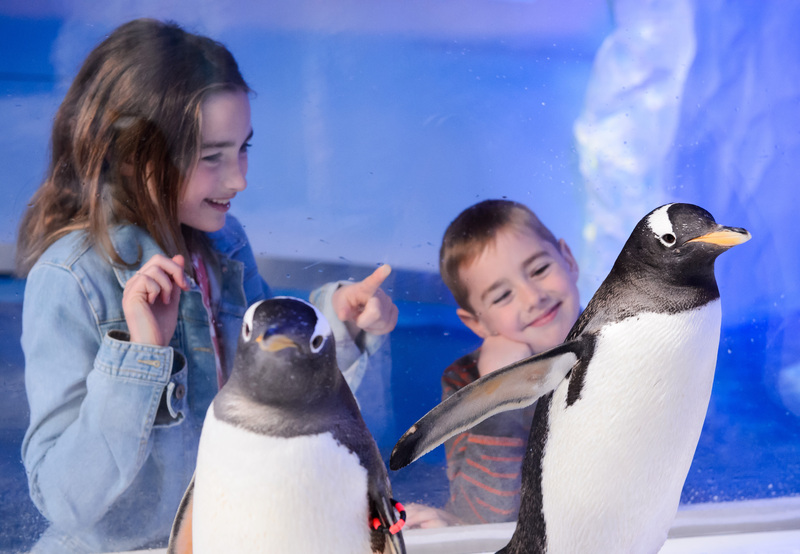 The London Aquarium is a great spot for seeing all your favourite fishy pals close up and if you have kids all the better! With little ones in mind, there are plenty of aspects tailored to their needs like hands-on areas where you can touch starfish and such like where they can get their hands wet, and adults are free to join in too. 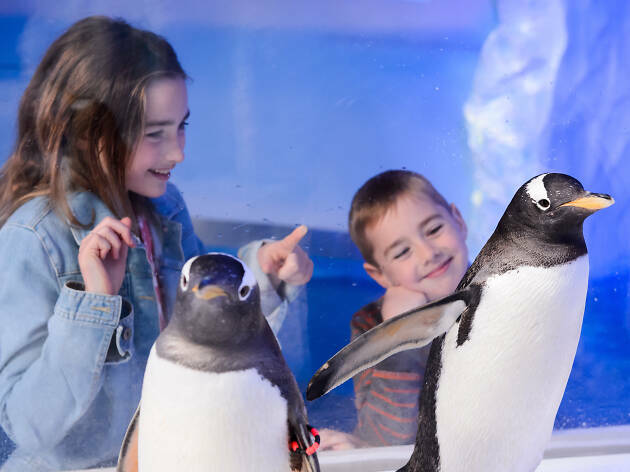 Aquarium experiences are always quite therapeutic, and the London aquarium has some surprisingly large tanks and a variety of experiences on offer. So if you just enjoy sitting and gazing into huge tanks full of sea creatures you're in luck, and if it all looks a little familiar, remember that scene from the film closer with Clive Owen and Julia Roberts..? Yes, that was filmed here! Overpriced, as expected for a main London attraction, but this is a nice aquarium. Quite well laid out with some really impressive tanks. Try your best to avoid school holidays and weekends. Weekdays as soon as it opens is ideal timing so you avoid barging into people to get a glimpse of the fish. Worth a visit, especially with the kids. A trip to the London aquarium really transports you away from the hustle and bustle of busy London to a serene, calming atmosphere of peacefulness and serenity. 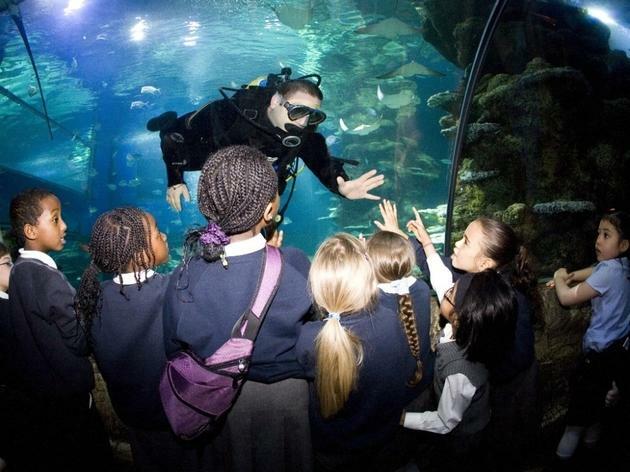 Although a busy attraction, especially at the weekends, the aquarium is a great day out for all ages! The scenic walks through the caves and water tunnel tanks allows you to see hundreds, if not thousands of different breeds of marine life from sting rays, jelly fish and even sharks. It took us approximately an hour and a half to walk around the aquarium with short stops to watch the feeding, listen to the expert commentary and to stroke the starfish. Although the ticket prices are expensive, it is a really great day out, especially for young ones. Rather pricey but a great day out especially for families. Find out about what inhabits the waters around the world. Watch out for ticket deals and check out feeding times so you don't miss the action! Tickets can be expensive but still a great London attraction. Great one for kids and there are often two for one offers available! Extortionate prices, but once in a while I suppose its ok to splurge a bit! I love sea creatures, but seeing them caged in like this makes me ponder for a bit, nonetheless there is information along the way about conservation. I love the big sharks, I spent quite a while just watching them, I got there for when they opened, so there wasn't a mad dash inside, could freely walk around without being annoyed! The shark walk being one of my favourites. I liked seeing all the different coloured fishes, octopuses, penguins, jellyfish, crocodiles, you name it, they have it! Such a fun day out, it brought out my inner child! Would like to experience the silent disco someday too. Never really been that bothered about Sea Life Centres before, I was dubious about going- but I took my Mum for a treat as she loves anything to do with the Sea. Once you have battled through the crowds and got in the attraction, I must admit the overall atmosphere is quite calming which I was expecting. However, I felt the whole place was very darkly lie, which I'm sure is to keep the fish happy, but it did make the smaller ones harder to see. I loved the shark area and could have watched them for hours, and compared to some other reviews I really enjoyed the Penguin enclosure. I have been a few years ago when it was the old penguin area, and yes I agree, this did feel cruel. The new space is much bigger, lighter and they seem to be having a lot of fun. Also, I have spoken to a friend of mine that works for Merlin and I know that a lot of effort and time has been put into making the penguins happy and have a safe environment, so I had no issue in seeing them and thought it was the highlight of the aquarium. For your money you see so much! The space is huge and we easily spent 3 hours walking around. I even got to stroke a starfish! Which trust me, again is safe and not harming the animal. They are rotated around and always have a member of staff supervising. The Aquarium is in tourist town (Southbank) and I try to avoid this place at all costs if I dont have out of town friends and family with me. We decided to try out the Aquarium Silent Disco but I was dubious if it would be any good. The entrance is via the shop and in today's sad world its actually great that they were quite thorough with the search of bags etc. Once that was done you pick up your headphones and then off you go to pick up your free drink which is a great treat. Lets face it, a silent disco is a silent disco no matter how much you dress it up. What made the aquarium way better than other silent discos Ive been to (Glastonbury, The Shard) is its so cool to see the double floor to ceiling tank full of wonderful massive fish and turtles whilst your bopping away to one of three channels. I was really pleased they also opened up the jellyfish exhibition and even better is some of the staff are real marine biologists instead of just security making sure youre behaving. It was great to listen to one tell us all about the jellyfish lifecycle as we had a rest from bopping the night away. 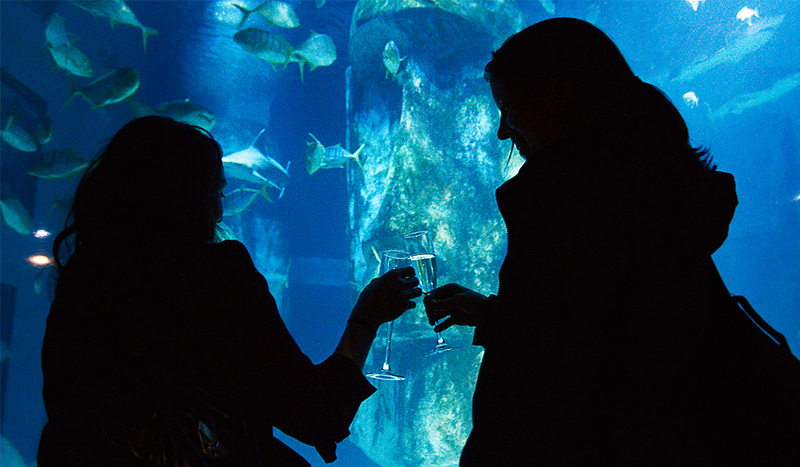 The aquarium and the silent disco is a super combination and perfect for a date or with a gaggle of friends. Youll leave feeling so pumped and in touch with all things sea life. 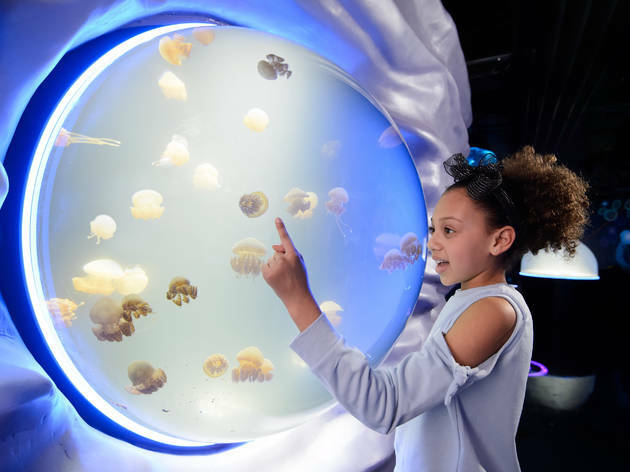 I visited the SEA LIFE London Aquarium for the new 'Ocean Invaders' jellyfish exhibition but as part of the ticket you get access to the entire venue. The exhibition itself had a lot of promise and had a couple of tanks that provided some stunning visuals but overall, it was cramped and not overly informative. And cramped is an adjective I would extend to the entire aquarium; the fact that the main attraction is a big shark tank that takes up most of the space on every floor you visit just goes to show how little there is to actually see in there. Children may not clock on to the fact that they are repeatedly seeing the same tank from different angles and levels but I noticed it immediately and to be honest, felt a little short changed. But the absolute worst part for me was the penguin enclosure; buried underground in a tiny space, I turned a corner to find the penguins huddled, seemingly scared, against a far wall as hordes of visitors took photos of them pressed banging against the glass. Whilst flash photography is forbidden, there were no members of staff to hand to stop people and whilst I insisted people turned their flash off, there were just too many people to stop them all. It seemed very cruel and completely unacceptable for these beautiful animals to be confined up in such a way. I left angry at myself for supporting the aquarium; these days such institutions are supposed to be for conservation purposes primarily and whilst the money they make might go to great global causes, it felt as if they were sacrificing the standard of life of their few animals to raise funds for the many. Why does London need an aquarium anyhow as the only others I have ever visited have been in massive venues on the coast where proper humane enclosures can be built?! I will never visit the aquarium again nor recommend it. I have to agree with some other reviewers in that I am always torn when I think about animals in enclosed spaces and whilst it's awesome to be able to see them upclose, it does prick my conscious as to whether it is entirely ethical. Having said that I do think it's important to recognise that there is lots of information on your way around about conservation and educating people about these wonderful creatures which can only be a good thing! I love sharks so I could have quite happily spent a long time watching the shark tank but all of the other exhibits were great too. I attended an 'After dark' event so the penguin enclosure wasn't open, whilst I love penguins having heard others say it was a small enclosure, I'm quite glad I didn't see it. I was concerned that it might be really busy and just packing people in but I have to say I was pleasantly surprised. There was just the right amount of people so you had plenty of time and freedom to walk around and view everything without having to fight your way around people. The area half way where you could get a drink made for a fantastic bar with incredibly unique setting you definitely wouldn't get anywhere else. So all in all in was an enjoyable evening. Sea Life London Aquarium is so much fun! Great for a day out with friends or kids. This is a huge aquarium so be prepared to have plenty of time to fully enjoy it. You will see creatures and fish from Pacific waters, Atlantic waters, Tropical waters, sharks, eels, octopus, jellyfish.. You will wander through rainforests, penguins' land, crocodiles. And all these inside an old council's buiding - the County Hall just next to Thames river. Went here on a very successful date so forgive me if I am a little biased. I have to mention that I am also a massive fan of penguins so my excitement for this may have filtered though during the experience. Firstly book in advance, this is a must if you want to avoid lengthy waiting times and secondly if possible try and avoid Saturdays (I understand this is easier said then done). The experience as a whole lasted around 2 hours dependent on the pace you choose to take. Overall lots of interesting fun facts to learn and creatures to see, some areas however looked like they were carrying out works (which some people may find slightly off putting) but it was masked well enough in my opinion. Aquarium definitely has the ability to bring out my inner child, look forward to visiting the silent disco soon. It was my first visit to sea life aquarium and I went to see the new ocean invaders jellyfish exhibition. The aquarium itself is really big, although it does seem a bit run down and dingy. There is a nice range of sea life to see and my favourites were the penguins, although they didn't seem quite as enthusiastic about seeing us! There were loads of jellyfish and the baby ones were really cute. As well as looking at the fish there was an interactive area that seemed to be popular with the youngsters. A great day out but if you have a big family it could get very expensive and not sure it would be worth the cost! I've been to the aquarium my first time to see the recent jellyfish exhibit. All in all I was bit disappointed. The aquarium doesn't reflect the size and vibe of London at all. There were not that many fish, yes, you can see the shark, few other species and the new jellyfish. It's two different types of jellyfish and that's it. I can see how kinds can still enjoy this, but it's not worth going more than once. 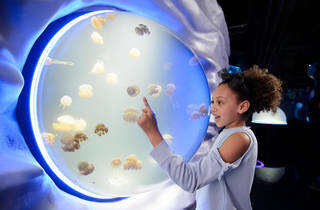 The new jellyfish exhibit at the aquarium is to gives it a new lease of life. The aquarium is a little worn around the edges but contains some pretty good features like the glass walkway, huge sharks in floor to ceiling ranks and a stingray pool. I was in the Aquarium for the first time to see the new Ocean Invaders exhibition, which is all about jellyfish. The exhibit in and of itself was super cool and the staff members were very knowledgeable, shared fascinating facts about jellyfish, and--very important-- didn't make me feel like a moron for making ignorant jellyfish questions (which unfortunately can't be said about experts in every London museum). The jellyfish themselves are quite a sight to behold. They are fascinating and somewhat magical creatures (I got some benign dementor vibes?) and the way the exhibit is laid out really allows you to appreciate them in full splendor. The aquarium itself has some pros and cons. The shark tank is incredible and you can really see sharks up close, something I never thought I would have an interest in doing but I was quite taken by them when I finally did for the first time here. There's also a lot of interactive bits for kids that I think I would have enjoyed as a kid myself. Unfortunately though, the aquarium does feel a bit rundown and has literally no open air spaces or even windows, so there's an element of claustrophobia to it, at times like walking through a basement that just happens to house some pretty incredible sea creatures. Ultimately, there were a lot of hands on deck (including jellyfish dancers in AMAZING costumes) at the first night of the Jellyfish exhibit to make sure everything went smoothly and this made the experience feel really special, but I'm certain you won't need all the bells and whistles to appreciate this awesome exhibit and enjoy yourself at the aquarium. My review of the aquarium is based largely on the jellyfish exhibit which we were there to see. I really enjoyed seeing these wiggly wonders and they were lit beautifully so you could really see them well. I also got to learn some facts about jellyfish that I never knew before and the display was educational and interesting. 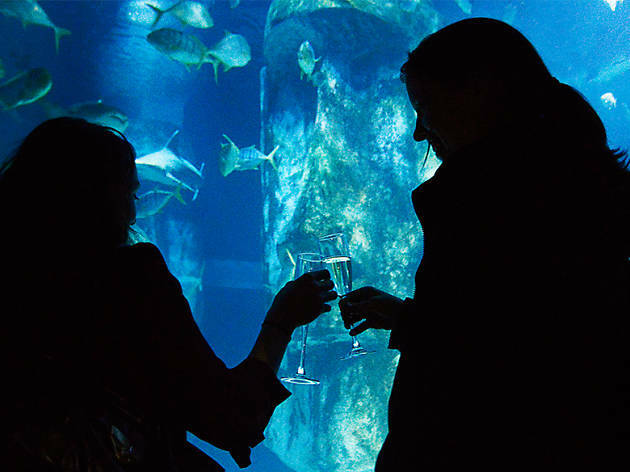 This was my first visit to the London aquarium and I enjoyed it - we were there for a special event where there were fewer people than on a normal day as well as dancers and prosecco. All of the elements made it rather special! I enjoyed having a wander and the big tanks including the sharks were cool to see too. Watch out for 'Boris' the turtle. You'll know him when you see him. I've always tended to avoid 'touristy' places, but I ventured into the Aquarium on a lates / after hours event. Without the usual screaming kids and tour groups, it was a joy. I was surprised at the size of the place, given its central location, with lots of fascinating sea life to discover. The shark tank is brilliant (amazing photo opportunities!) and the rays provide hours of entertainment. But the new jellyfish exhibit, Ocean Invaders, is something else. Modern, intriguing and interactive, it shows the real beauty of these amazing creatures. If you want to visit, try to go outside of peak times (if there is such a thing as off-peak here) as you will be able to meander through the depths at your own pace and really marvel at the wonderful creatures. The new space invaders aka the jelly fish exhibition was out of the world. It's amazing to see them from Babies to being fully grown. The staff on site were very knowledgeable and answered all our questions! What ever age, you will enjoy this, there is interactive games for the kids and lots of useful info regards jellyfish for the adults. It's my first time at the aquarium and the shark tank, penguins and now jelly fish were all pretty cool and I can wait to go back and take my nephew. I liked the big tank with sharks and other big fishes, they seemed to have enough space although I still felt sorry for them. The new Sea Invaders exhibition is really cool though! They did a great job with jellies and it's fun and entertaining, kids will love it! There is also a cool game in which you are a jellyfish and need to create the perfect conditions to grow and live. Tanks have very cool lights which make jellies look like dreamy creatures from another world. The experts working there are all very passionate and they will tell you loads of things! 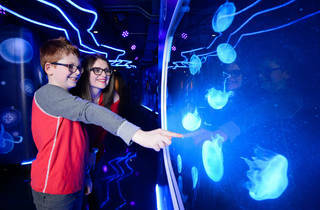 The new jellyfish exhibition was good - the staff are very knowledgeable, and it's a pleasure speaking to them. We were lucky enough to speak to Beth, one of the conservationists, whose knowledge was unbelievable. It would've been great to see some bigger jellyfish, but at the same time I'm pleased that the larger ones are in their natural habitat. I did feel a bit sorry for the penguins - I definitely felt like they didn't have enough space to really live a happy, snow-filled life. The 3 stars are for the overall experience, dragged down by the sad penguins deprived of outdoor space or sky! There is always a feeling of guilt seeing wild animals in tanks/enclosures and it is my belief that this will one day be a thing of the past. However, as a keen scuba diver it is such a treat to relive memories of swimming close to these amazing creatures and learning even more about marine life so we can cherish and protect it's future and that's why I think it's great to see children mesmerised while learning, and in awe of nature. I would give 5 stars to the NEW JELLY FISH EXHIBIT! 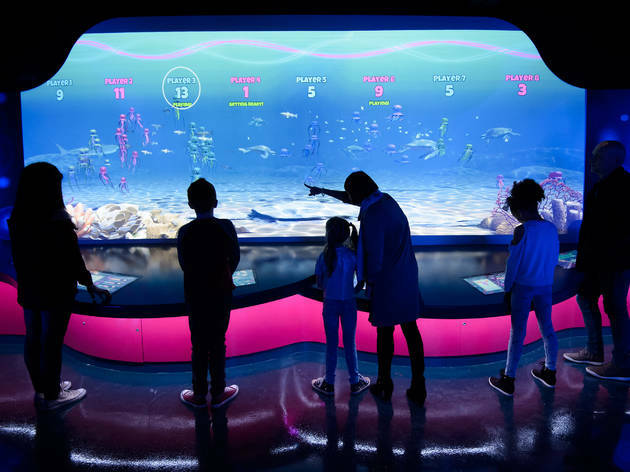 and if the aquarium keeps up this type of refurbishment and continues with educational installations then they will get my vote. Generally, I am not a huge fan of Aquariums and Zoos, but as my friends came to London and got me a ticket so I gave it a shot. And I have to say, it was actually a lovely experience. The best part was seeing Gentoo penguins - absolutely amazing. I spent almost an hour watching them being fed. The shark tank is also pretty impressive. I would recommend the place for adult and kids. What I really liked, were info boards about overfishing and encouraging sustainable seafood. Kepp it up See Life London! WORST AQUARIUM EVER VISITED ANYWHERE IN THE WORLD. ALSO TOTALLY NOT KIDS FRIENDLY. It all started with a family weekend plan to keep our daughter entertained and do something different. This is my view of the facilities and the overall experience as a parent with a 19 month old child. The main entrance is hardly buggy friendly as only equipped with stairs. The only way to use the non-stair entrance is to purchase the priority entrance pass, which costs extra! Secondly, about a quarter of the attractions were closed due to renovation work being carried out. Yet, the full admission price was charged. Also no mention of the work being carried at the ticket desk. Thirdly, the aquarium was extremely crowded causing long queues at almost every stop. Forth, hardly any bathrooms and only ONE baby changing room. Amazing. Last, but not least, the penguins are kept in an enclosure which I can only guess is meant to simulate their natural habitat the Antarctic, amongst other places. Although, it reminds one more of a mental institution with a lack of fresh air/wind, sky etc. The penguins appeared lifeless and not happy at all. London Zoo is doing a much better job at keeping penguins outside, with a large outdoor pool and lots of interaction with nature. Overall, the facility is run down and lacks everything a world class aquarium in a city such as London SHOULD offer to its visitors. So if you are considering a family-day out which involves long queues, horrendously high ticket fees, unfriendly staff, a crowded aquarium where you have to force yourself to the front to get your kid to see anything and by default have a strong bladder to overcome the lack of bathroom facilities and baby changing rooms then you should visit. As Sea Life centres go, this is probably the best one I have been to. I must say I am surprised to see so many negative reviews. The place is huge! We found it to be an interesting layout with plenty of space for all different species of sea creatures. Even the start is exciting as you walk across a glass floor above the water. The Shark tank is unbelievable! Such a massive area for some massive beasts! Great opportunity for some interesting photos. The walk through tunnel is good too and my personal favourites are the penguins. Such funny animals. Definitely worth a visit although I can see why the steep price tag would put people off. Make sure you take advantage of the many 2 for 1 or discount vouchers available. The tiny penguin prison is the most depressing sight. No natural light, with penguins slipping about on a fibreglass ice berg. I don't understand how it's allowed. Go to London Zoo instead - large animal enclosures wirh penguins on a naturalistic beach. 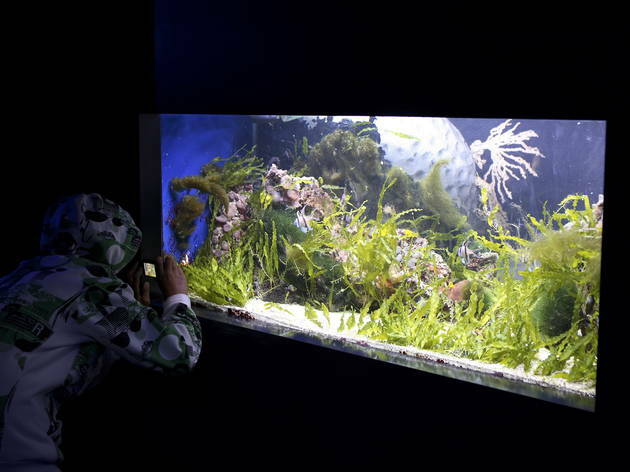 Fancy a tour down the aquarium? Don’t! It’s not worth the ridiculous price. Sure the shark tunnel is cool and the animals are great (especially the rays – who knew they could be so funny? ), but the place itself gives such a sad experience it needs to be avoided at all costs. Situated in a dark basement, it feels quite grim. The place is too old and tiny to be enjoyable for you or comfortable for the animals. Plus, with numerous photo booths and souvenir stands, it’s so salesy, it kills the ambiance. So, trust me, give it a miss. As aquariums go, this Sea Life centre certainly isn't the best (if you're looking for an awesome UK aquarium, try The Deep in Hull). It's a cramped space, with narrow walkways that make it difficult to see anything if you're there at a busy time. On a normal day, it's overpriced. The exception to this rule are the adults-only lates events, which see far fewer visitors and have a reasonable ticket price (if booked far ahead) that includes a glass of fizz. This was a truly fun evening, where you could take a leisurely stroll, stroke some starfish and sip at your glass of vino. I actually preferred it to the Zoo lates: with fewer guests and less of the 'outdoor drinking' atmosphere, it was much calmer and the guests didn't seem to be impacting negatively on our underwater friends, which was always a concern at the Zoo. In all, there are much better places in London for a family day out, but for those adults looking for an interesting pre-dinner experience, the lates are ace! Recently went on a Friday afternoon to the aquarium lates. At £15 inc a glass of fizz and with no kids allowed i thought it was a really good hour or so to spend before Friday dinner however at the usual price of £30 on a busy weekend - well that's just a rip off and I would rate it 2*. Great for kids but just so over priced. As it was we didn't get to see the Penguins and the place isn't actually that big but the Sharks were impressive and there were lots of staff around to talk about the fish which was interesting. It was also in collab with Lego so there were tables full of it to play with. Would recommend the adults lates - think there is one in September and tickets for the early bird price are reasonably priced. 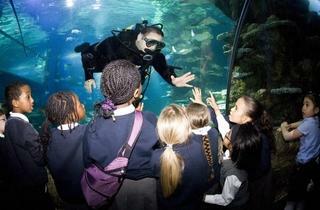 Along side Waterloo is the enchanting London aquarium where you can see sharks, turtles and penguins oh my. The set out is quite relaxing there are plenty of fun facts to keep the visitor entertained and amused. Having visited other aquariums this one is fairly small in comparison. With all the aquatics and the blue planet life there is something quite hypnotic about it all. There are obligatory cheesy photo opportunities at the beginning that the staff will try their hardest to persuade you to buy. There will lots of events and activities to keep kids amused and offer late evening visits if you prefer to explore during quieter and less chaotic times. Lots to see but unable to see most of it as they don't limit the number of people in there. Had my son's buggy with me - impossible. Only care about the takings, not about visitor experience. My daughter enjoyed the parts she did manage to see but will not be returning anytime soon. The ones outside of the city are much more user-friendly. The tiny underground enclosure for the gentoo penguins is heartbreaking.